Published By – Stillgrove Ltd. 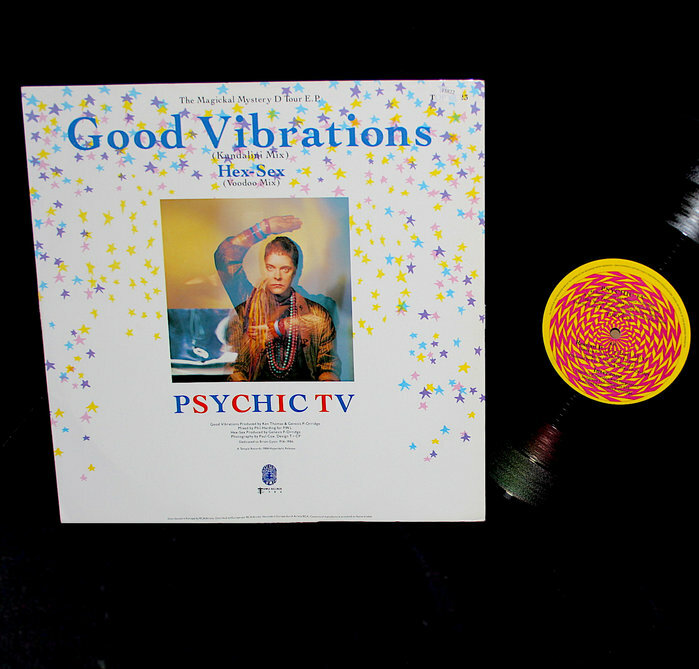 Published By – Dejamus Ltd.
"Good Vibrations" mixed for P.W.L. A Temple Records 1984 Hyperdelic Release. Publishers: A1, Rondor Music Ltd.; A2 to B2, Stillgrove Ltd./Dejamus Ltd. The Temple Records logo is reverse spot-varnished across the front and rear of the sleeve.